If you would like to turn back the hands of time and have a fresh, more youthful appearance, we can help. Lip enhancement can help to reverse these tell-tale signs of aging as well as augment those lips that are not naturally plump. 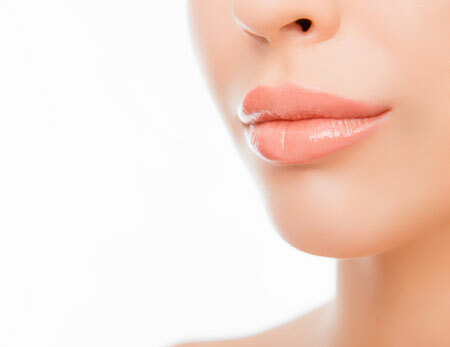 By placing small amounts of dermal filler into sections of the lip and surrounding area, it is possible to change the shape of the lip, enhance particular areas and improve symmetry. Our dermal fillers are naturally occurring gel-like substances containing hyaluronic acid. This material is used to soften and fill lines and folds and replace lost volume within the face and lips. The hyaluronic acid attracts and binds with water, this gives the appearance even more fullness to the injected area and improves the skin’s hydration. Dr Chan will provide you with a full consultation before treatment to address your concerns and desired outcome. The entire procedure, which can be performed under local anaesthesia, takes approximately 30-45 minutes. Sometimes, a combination treatment with dermal fillers and wrinkle relaxers can be carried out in other areas which will result in a longer treatment time but without any added discomfort. Schedule Your Free Consultation By Calling 9581 5344 Today!